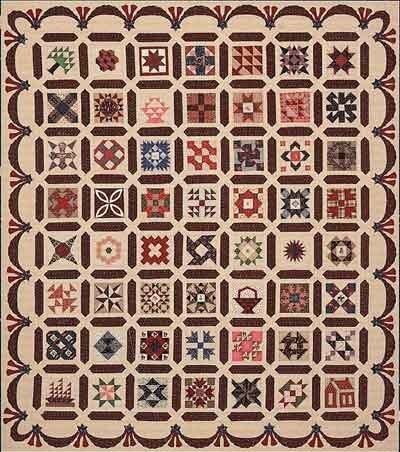 This is a kit for my Centennial Sampler quilt. The block size is five inches. I have personally selected the fabrics to make the quilt look as close to the original as possible. The kit includes my pattern book and fabrics for the blocks and borders. This kit is a Intermediate level.